It is difficult to imagine any makeup without lipstick. The variety of this cosmetic is huge: solid and liquid, transparent and colorful, brilliant and matte. We can choose whatever we want, depending on the mood, event, hairstyle, and jewelry. As a rule, many modern women have at least five different lipsticks in the cosmetic bag. How did we get here, and where did the lipstick come from? People have been painting their faces and bodies for a very long time when they found out that they could paint the caves. In the beginning, they started to paint their faces to protect themselves from the spiritual danger, as evil and demons. They used the natural pigments, usually black, yellow, and red colored mud called ocher. In a certain time, such face painting became less ritualistic and more decorative. It is possible to state in thesis writing, that it was the birth of the makeup. In 2500 BC, ancient women used the Reddish rouge for their lips and cheeks. They believed that reddening effect made them look healthy and fertile. Moreover, red color was the most bright and available back then. In ancient Egypt, women used the Kermes bugs to get the Carmine, red pigment that still is used in modern cosmetic. All along antiquity, Chinese women used the red rouge to transform their lips into hearts, flowers or circles. In the ancient Rome, red and pink roses were used for the same purpose while Cleopatra got her lip paint from the beeswax, ants, and carmine. During the Middle Ages, in the West, the attitude towards lipstick was ambiguous and variable. The reasons for such on and out of fashion status were the religious and royal families. Religion claimed that any cosmetic is sinful and women stopped using it. However, when royal family members decided to paint their lips, lipstick came back and became fashionable again. For example, Queen Elizabeth was a strong supporter of the makeup. As a rule, she wore a lot of lipstick and a full face of white lead. As the historical paper writings state, she believed that lipstick was healing and useful for health. 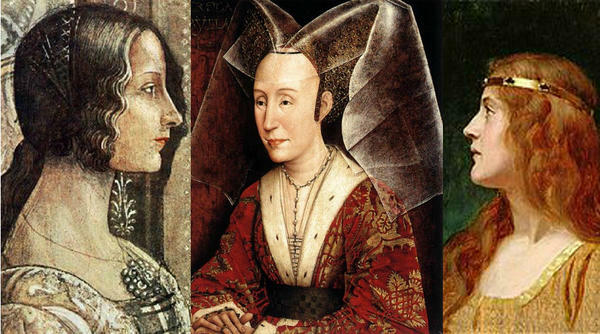 The popularity of lipstick continued to change in the middle of the 17th century when the Puritans grabbed the England and when the Charles the Second was back to the power. 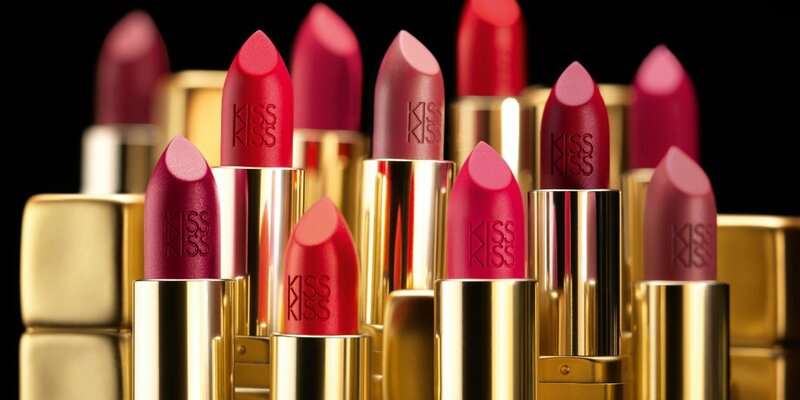 Since then, lipstick was the favorite piece of cosmetic, especially among the French aristocrats. However, at the end of the 18th century, the British government decided to tax the hell out of it. Queen Victoria, the icon of style, supported that move, so the lipstick remained unfashionable up to the middle of the 19th century. Nevertheless, even when the aristocrats did not use lipstick, it was popular among prostitutes and actresses all around the world. That was recorded in different books and articles, written by custom essay services. By the end of the 19th century, the interest in cosmetic grew. Guerlain, one of the most luxurious brands of those days, began to produce Lip salve and Rouge pads for their VIP clients. From then, the lipstick industry started its way. In the 20th century, the actresses turned into the most glamorous ladies thanks to the films. The Suffrage movement began to grow. Usually, suffragettes wore bright red lipstick as a sign of protest and solidarity. From then, many women changed their attitude to lipstick. 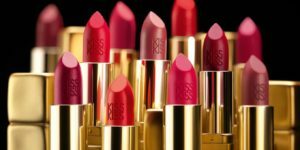 The demand started to grow so the lipstick technology developed significantly, and the push-up lipstick tube was invented. In 1920 in America, Flappers started their own movement when the new freedoms and rights were approved and attitude about fashion and style was changed. The supporters of that movement wore dark red and bright lipstick with proud. Over time, lipstick became popular among non-flapper girls. There are many essay writings about that milestone. Since then, the lipstick started developing and transforming extremely. The push-up tube was replaced with the swivel up tube, makeup ads became colorful, new colors and shades emerged. 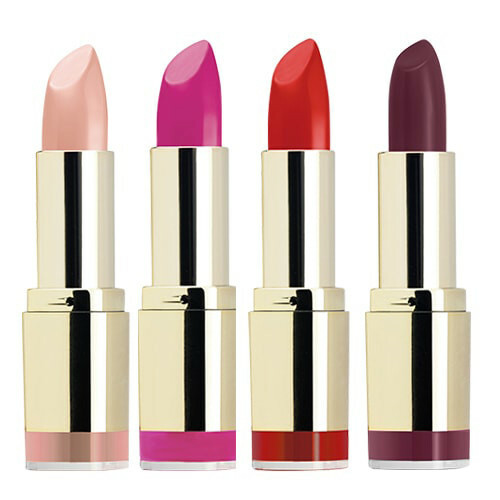 As a result, we have a diverse arsenal of different lipsticks that are popular all over the globe.